When Should You Upgrade Your Web Browser? 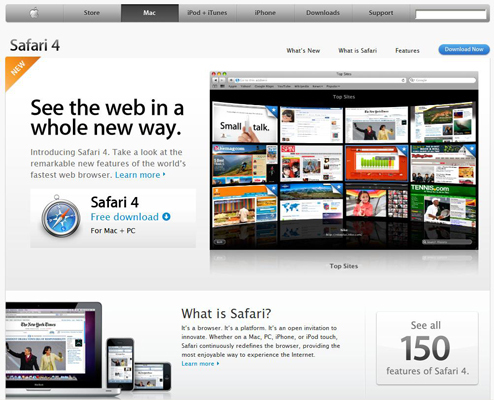 Major companies like Apple, Microsoft, and Google are constantly working to upgrade their Web browsers to meet the changing needs and demands of Web users. Each one promises new and different features along with faster performance on the Web, which is nice, even if all you have to do is get your Hollywood gossip sites up and running quicker. So when should you commit to an upgraded browser? It all depends on how you use your Web browser. If you’re at work and you rely on a specific browser to do business, it’s best to wait until an official version has been released. Sometimes, software will be written for a specific browser version, and you need to keep that around until upgrades have been made to the program or the browser (or both) to make sure it works. Even if you do choose to update it, know that “beta” means that you could still encounter problems or glitches. The creator might want to hear about the problems you’re having, but that doesn’t guarantee a fix. Beta versions are for those who don’t mind taking a little risk when it means having the latest software. If you feel comfortable there, have at it. If not, wait for the all-clear of the official version before you make the upgrade.